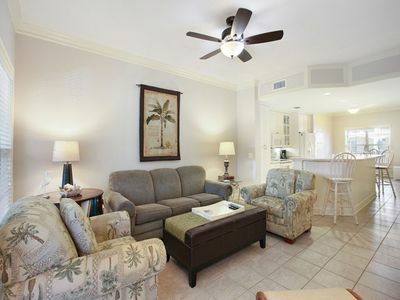 Walk to Beach-Beautifully Decorated 3 Bedroom Villa in Beachside Resort! 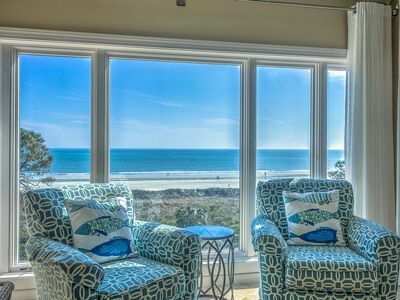 You've just discovered your new family getaway on Hilton Head Island! 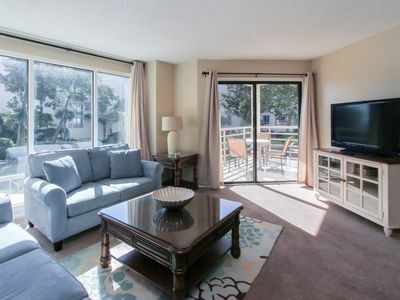 This 3 bedroom, 2 bath condo fully renovated awaits you! 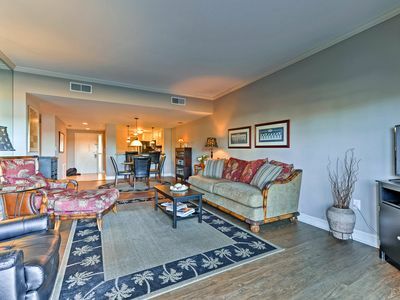 This spacious unit sleeps 8 total comfortably. There is also a crib in the master. 2 full baths, a brand new washer and dryer are just the beginning! 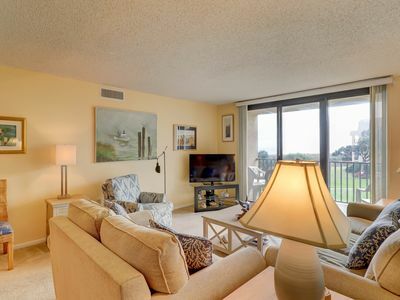 The unit overlooks a pool from the balcony and the building has 4 lighted tennis courts right outside your door. 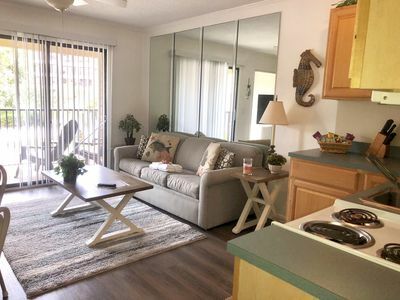 The master has a queen bed, crib, flat screen TV, DVD player (cable for all TV's in unit) and its own tiled bathroom with a large walk-in shower! The guest room has a queen bed,flat screen TV and a large closet. The children's room has 1 twin and a twin over full bed, flat screen TV with built-in DVD. 2nd full bath also completely tiled in full renovation. 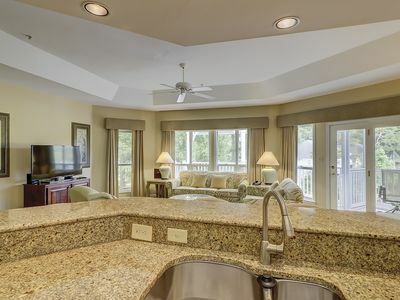 There is a granite wet bar for your enjoyment! Living room offers a large 50' Plasma TV, Blu-Ray DVD player with surround sound bar. There is also a WII in the living room with numerous games to play! The villa has WIFI also which is included! The kitchen is granite throughout with all new stainless steel appliances that may tempt you to cook even if you don't at home! Side by side refrigerator with water/ice in door. A must at the beach! Also a Keurig Coffee Maker for the coffee and tea Lovers! 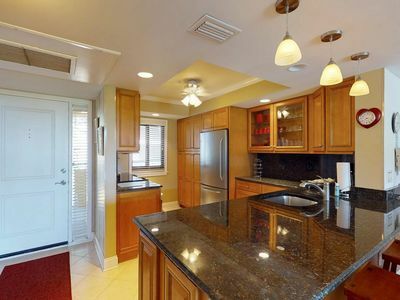 A Fully equipped kitchen for all your needs! Beach chairs, beach cart/red flyer all terrain wagon, Umbrella, boogie boards, skim board, football,soccer ball and sand toys await you! Any toddler will be thrilled by the toys waiting for play. Older kids have board games and many DVD's waiting. There is a video and book library for parents too! No need to lug heavy things like a jog stroller or highchair the unit has them! 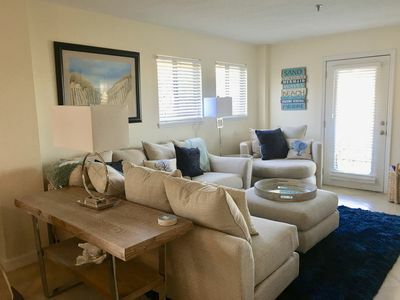 All the extras are there so that you have the same second home experience as the owners! A cooler and Ice Packs for the beach! You can enjoy 2 outdoor pools, 1 indoor heated pool, kiddie pool, hot tub, sauna or a stroll around the indoor track. Bring your laptop to the indoor pool area that has free internet access. Internet is available through Hargray in the villa as well! Don't worry if you forget something, there is a deli, convenient store and gift shop right on the resort! 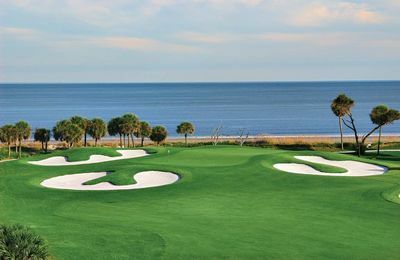 There are 6 tennis courts for your pleasure as well or play golf next door at a top rated Robert Trent Jones golf course, ocean course at Palmetto Dunes. 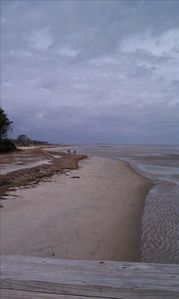 Our private beach is one of the least crowded, most beautiful on the island. Just take a walk on our private boardwalk overlooking a scenic salt water marsh with spectacular wildlife like herons and egrets! There is also golf cart shuttles that can take you if you don't feel like walking! At the beach you will find Coco's Cabana with food, drinks and restrooms and the breath-taking beach surrounding you! Best waves, shells and sharks teeth! Beach Volleyball right in front of CoCo's! 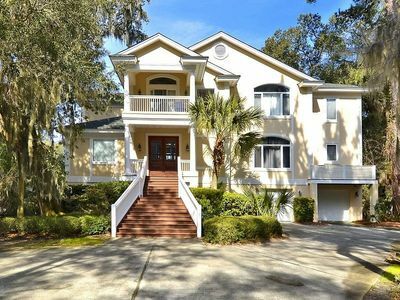 This mid-island resort is a 24 hour gated community and convenient to all the fun Hilton Head Island has to offer! 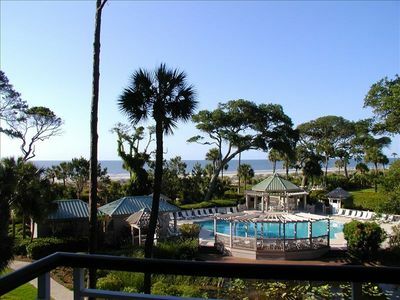 Beautiful bike paths, shopping, restaurants, movie theaters and of course the beach! Our resort has picnic table, grills and a private sun deck for your enjoyment. 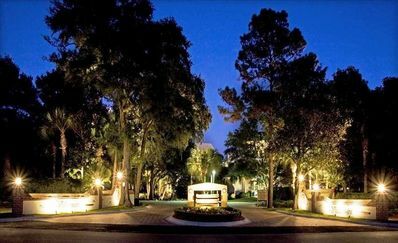 All of the amenities are free to guests making this the best family vacation value on Hilton Head. The resort is only a few minutes from Chaplin Community Park with protected bike trails, soccer, basketball, playgrounds and much more! 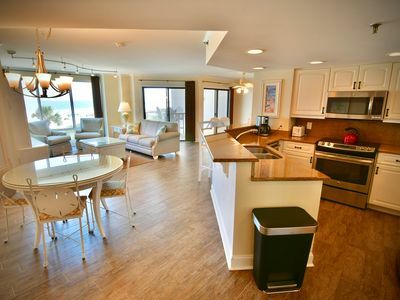 Please call or e-mail to receive additional information about our newly renovated family beach getaway! You won't find a nicer villa in our resort! Pre-Spring and Summer Specials Booking Now! $850/week. Footsteps from the beach! Luxury Floor to Ceiling Remodel Done 2016! 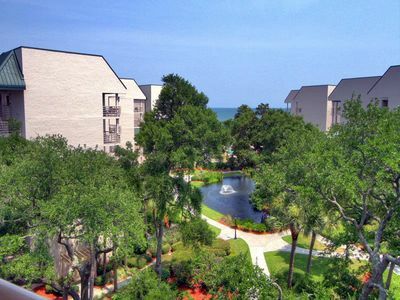 Ocean,Lagoon and Courtyard Views! 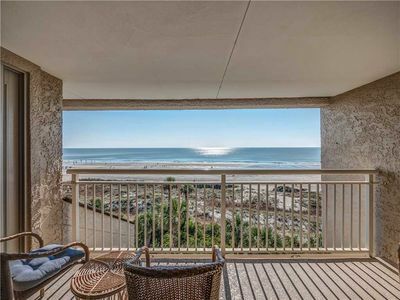 1103 Villamare-1st floor Oceanfront Villa just steps to the beach! 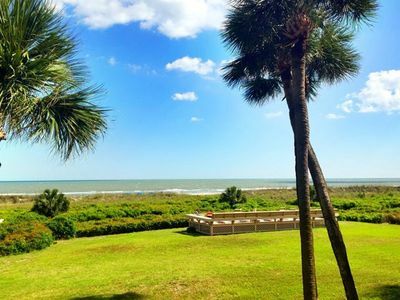 Hilton Head Condo w/ Resort Amenities Near Beach! 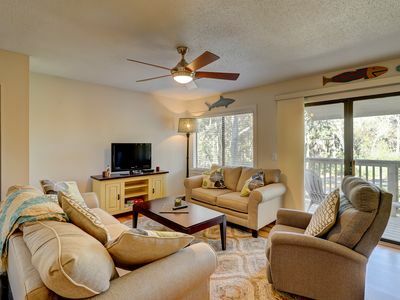 New Home Rental with Huge Updates Throughout! 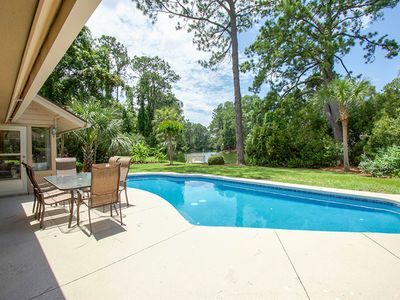 Quiet getaway with pools, hot tub, tennis courts, and ocean views. 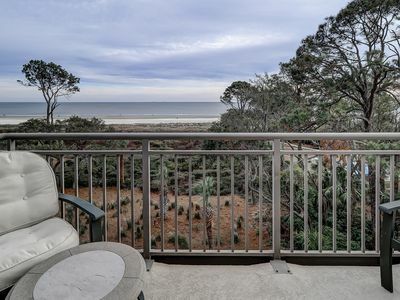 Cozy two bedroom villa located close to Coligny and the beach!